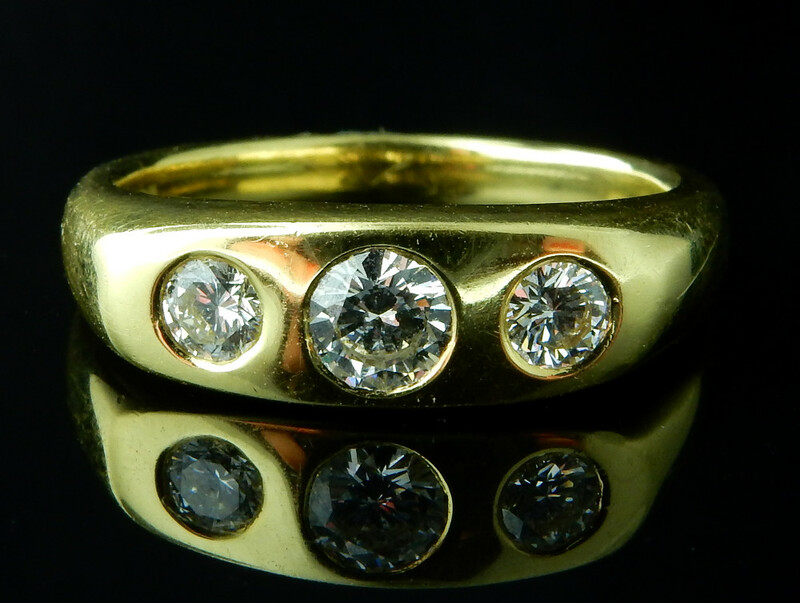 This simple 18k yellow gold three stone diamond ring has a center 0.24 ct round brilliant diamond, with two perfectly matched round brilliant diamonds on either side. 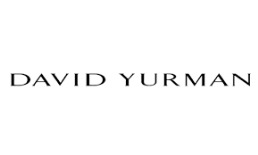 This low profile diamond ring is a versatile addition to any jewelry collection. 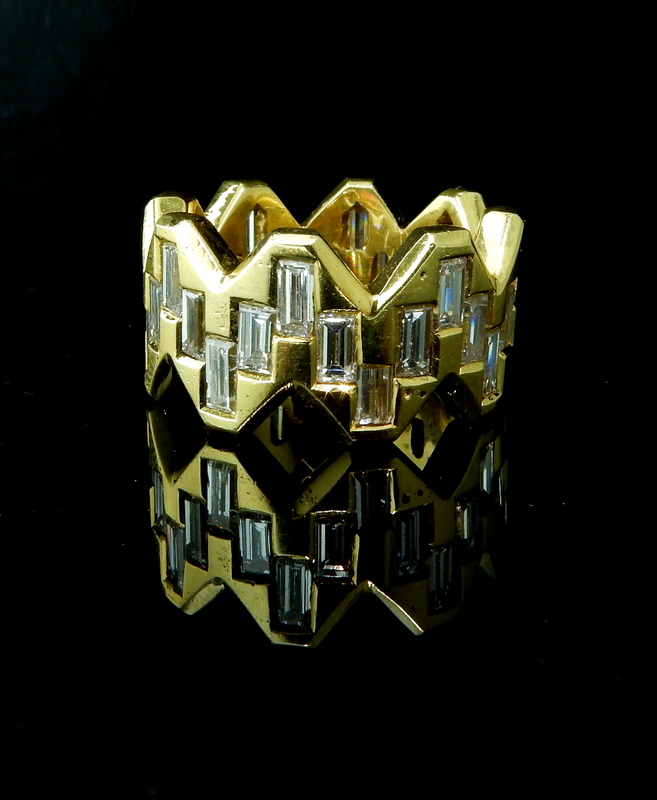 This 18k yellow gold contemporary zig zag ring contains 31 eternity-style sparkling baguette diamonds, creating a unique and different look. 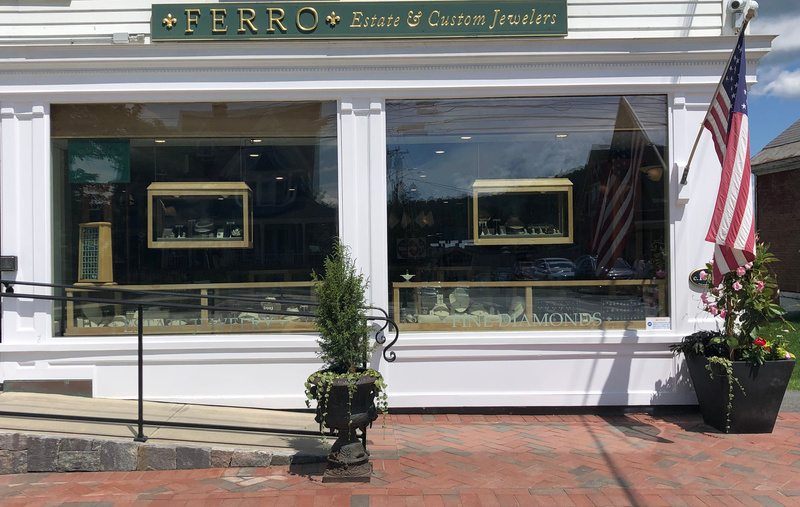 Come try it on in person! 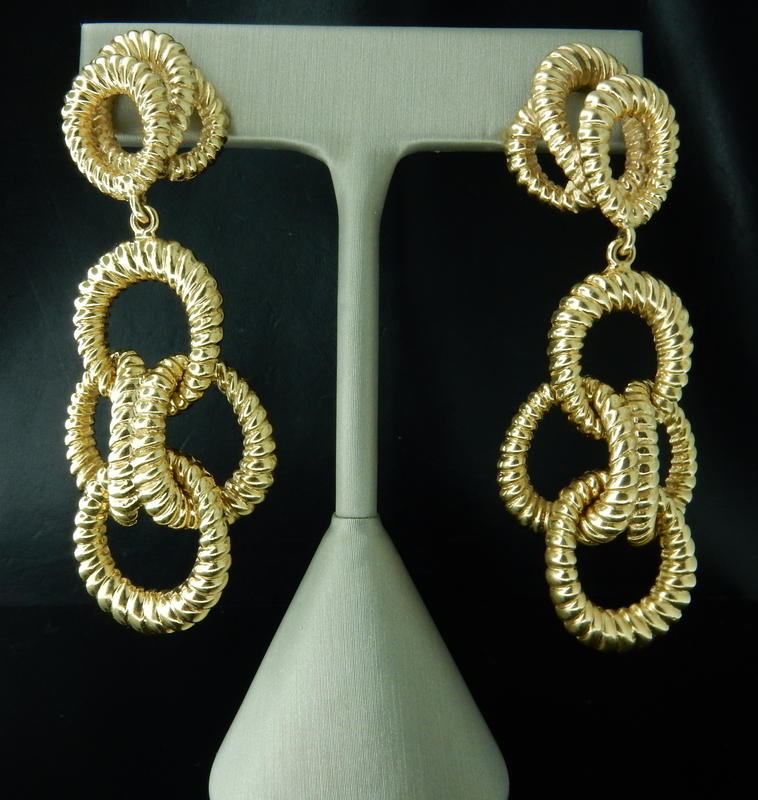 These 14 karat yellow texture earrings would be the perfect addition to your jewelry collection! This textured rose gold has unique cut-out sections around the diamonds that makes them look like they are floating! 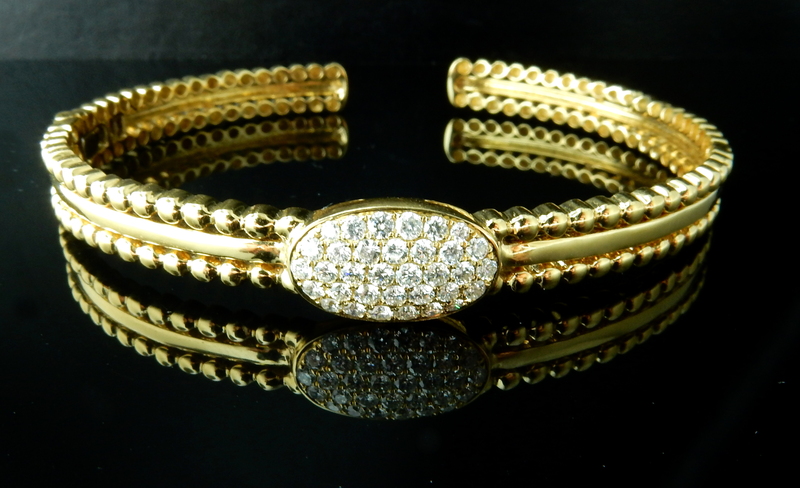 The Perfect Gold and Diamond Bangle! Over a half carat of stunning diamonds, set in a textured 18k yellow gold creates the perfect bangle. 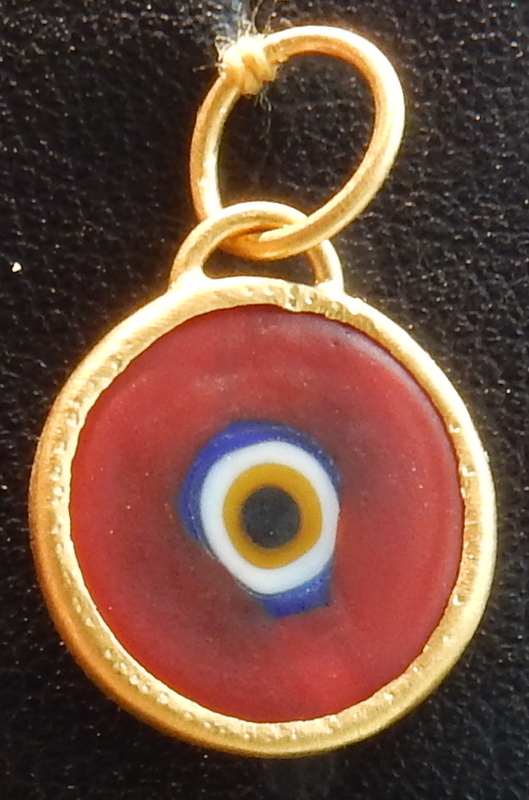 A hinge element makes wearing this bracelet comfortable and secure! 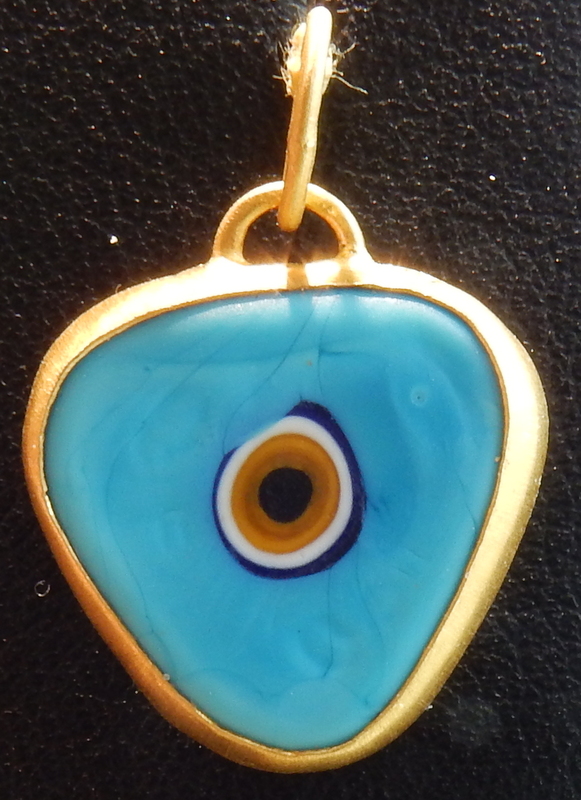 Handmade in Turkey, our 24k yellow gold evil eye charms make the perfect gift! 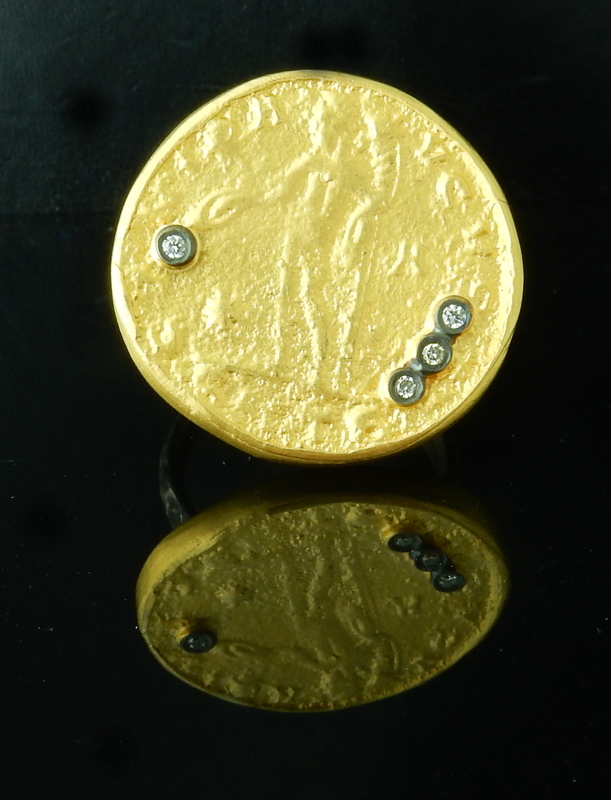 24K Yellow Gold and Sterling Silver Diamond Coin Ring! 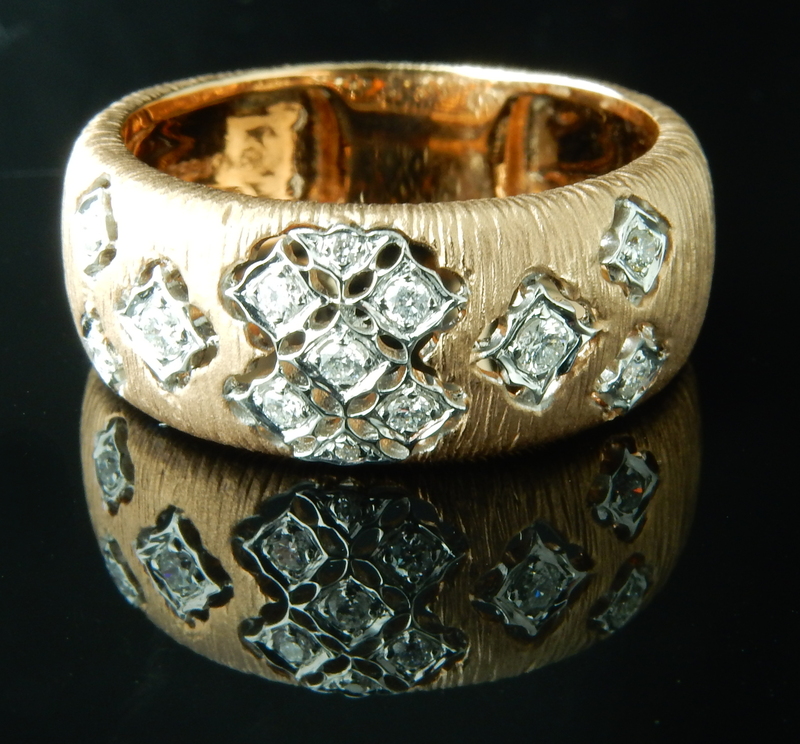 Handmade in Turkey, this unique coin ring is sprinkled with 0.04ctw of diamonds. 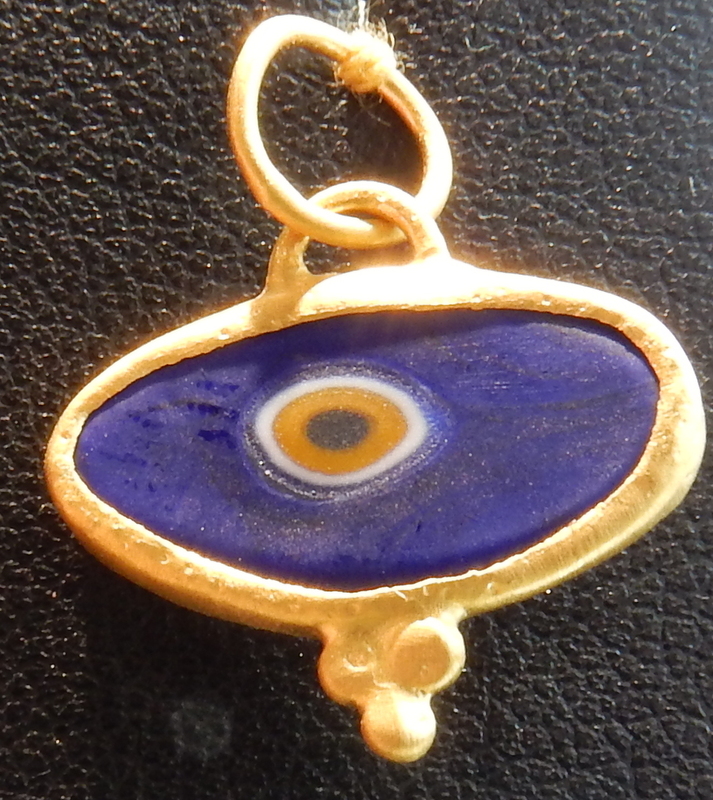 This piece is sure to be a conversation starter! 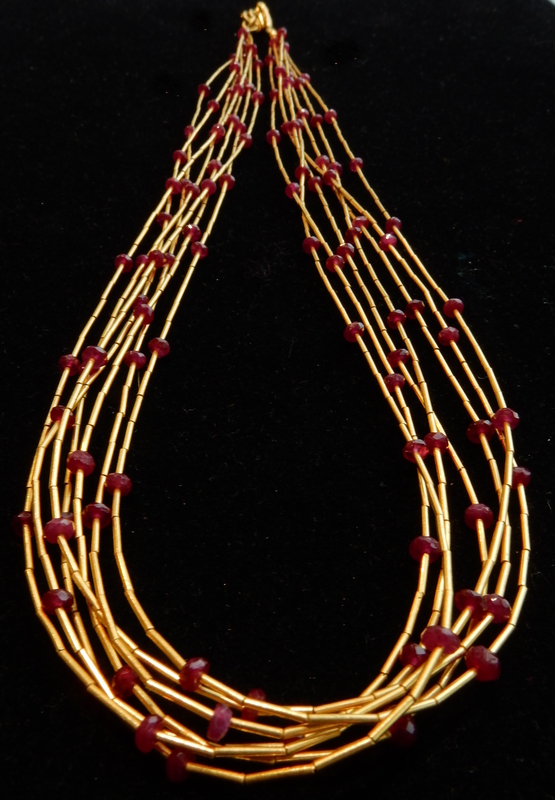 Intricately hand made, this 18k yellow gold and beaded ruby necklace is simply amazing!